More and more processing disorders are coming to light. As science and technology progresses, so does man's understanding. Central Auditory Processing Disorder was something that I had never even heard of, up until a few years ago. Now, it is something I am acutely aware of in my daily life, and I feel it should be talked about more often. Now, I'm not going to go into a whole educational post here, regarding the tedious details on what CAPD exactly is, simply because it is a lot of information and is a spectrum. However, the American Speech-Language-Hearing Association (ASHA) describes it as this: "Central auditory processing (CAP)—also seen in the literature as (central) auditory processing or auditory processing—is the perceptual processing of auditory information in the central auditory nervous system (CANS) and the neurobiological activity that underlies that processing and gives rise to electrophysiologic auditory potentials (American Speech-Language-Hearing Association [ASHA], 2005).". So what does that mean? Well, to put it in layman's terms, it is both an auditory and language processing disorder that affects you on phonemic, linguistic, and, you guessed it, central auditory processing levels. How I remember it is this-- You hear with your ears, and listen with your brain. Somewhere in the moments when the sound is communicated from your ear to your brain, things are changed. Distorted. Then we don't do the listening of the hearing, very well. Get it? If you don't, that's fine. It's a lot. It's taken me years of reading and research to understand the little bit that I do. So what's that have to do with right now? Well, my daughter was diagnosed with CAPD a few years ago. Ever since then, it's made daily existence a bit easier to understand. And a bit harder. Why's that? As with any diagnosis, knowledge is power. With that power, comes great responsibility... Right? Yep. 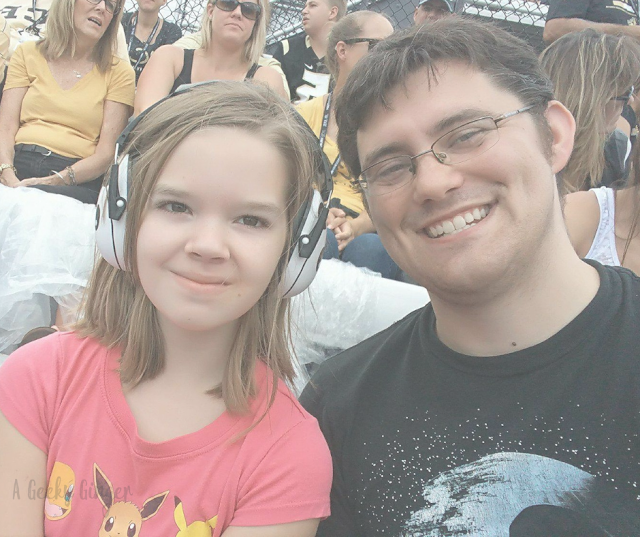 Knowing that she has Central Auditory Processing Disorder, forces me to have a lot of patience and to constantly be aware of the fact that she, while being able to hear me, may not be able to listen. Sometimes it seems it would be easier to just get annoyed at the fact that your child isn't responding to you, reprimand them, and move on. But that's just not the appropriate response here. Honestly, the list can really go on. But as you can see, there are quite a few things that can become... frustrating. Not only the person with CAPD, but also those around them. 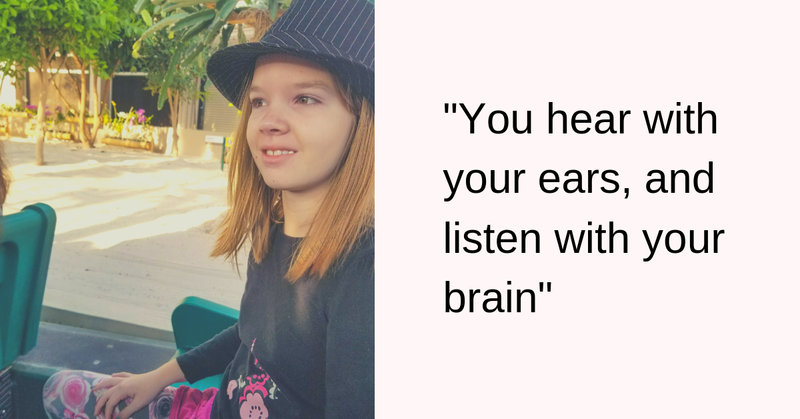 Learning of her Central Auditory Processing Disorder diagnosis, though, was incredibly helpful. She had some difficulties with her short term memory (long term memory is extraordinary) and we noticed how frequently she would mishear things said to her. The testing was grueling, but very thorough. After her diagnosis, we were able to move forward with her in a lot of ways, and she's doing fantastic. Granted, it's been a couple of years work, but it's been so worth it. I only wish I would have known about the "symptoms" earlier in her life, so we could have gotten help at a younger age! Basically, all of the processing disorders have their ups and downs. 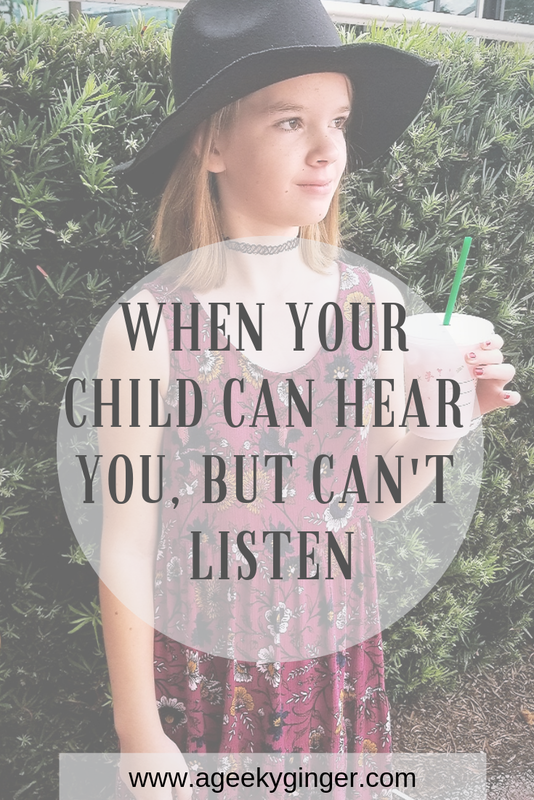 There are funny moments that we can laugh at (like if she mishears something and it comes out strange sounding), and there are moments that are really rough (auditory fatigue is no joke, y'all), but Central Auditory Processing Disorder can be helped. 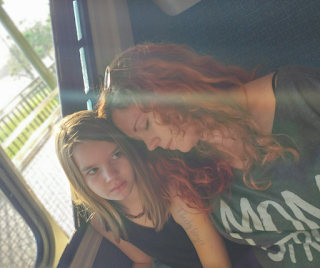 If your child seems to hear you, but isn't listening, there might be a reason.. Very interesting. This is the first I have heard of this disorder. It's always good to be aware of these things when dealing with kids. I can definitely see a few things from the common symptoms that would easily be mistaken for a child just not focusing or respecting your words if you weren't aware of these conditions. The fact you are building awareness for it is amazing and I am sure so many parents will be thankful. You described my 8yo daughter spot on! She was just recently diagnosed with APD as well, and we are so glad we are able to figure out what was going on. I've learned lots of patience this past few months.